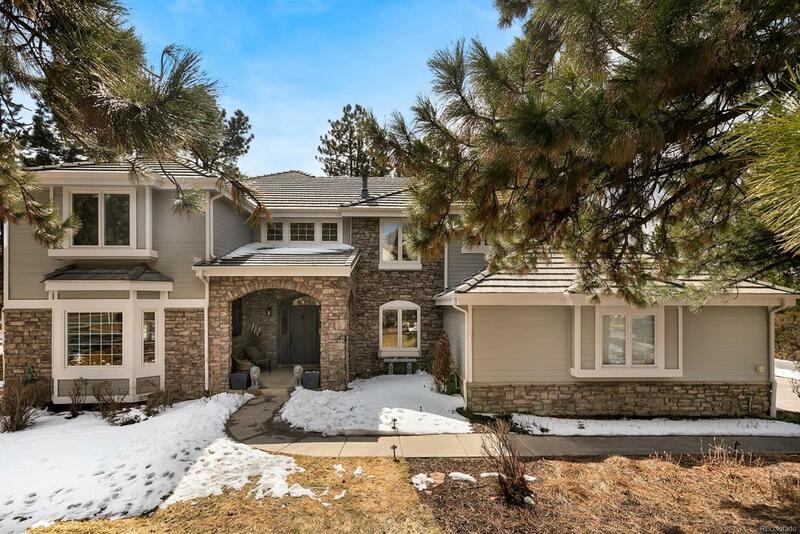 Completely redesigned in Castle Pines Village with every modern luxury and custom detail imaginable boasting over $200k in upgrades! 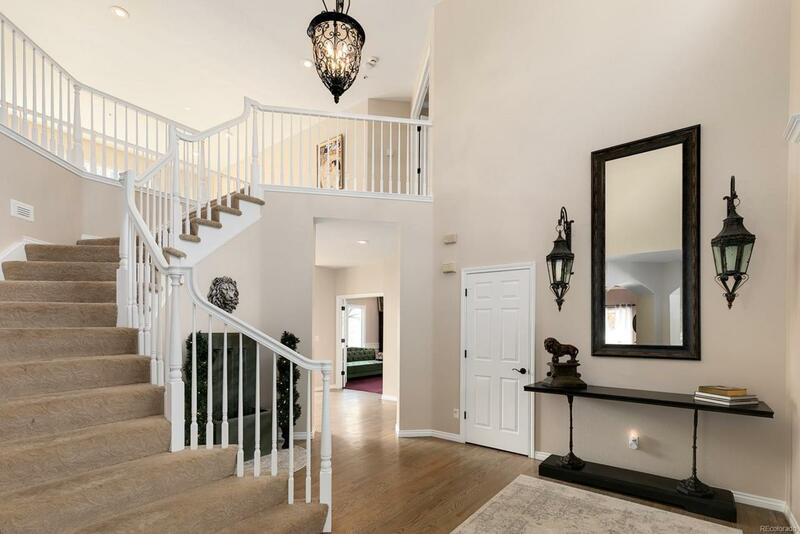 A grand foyer greets you flowing into the formal living and dining areas making this layout an entertainer's wonderland. The gourmet kitchen is every chef's dream showcasing rustic design complete with gas range and double oven, sunny breakfast nook, and huge center island to inspire your next gathering with family and friends. 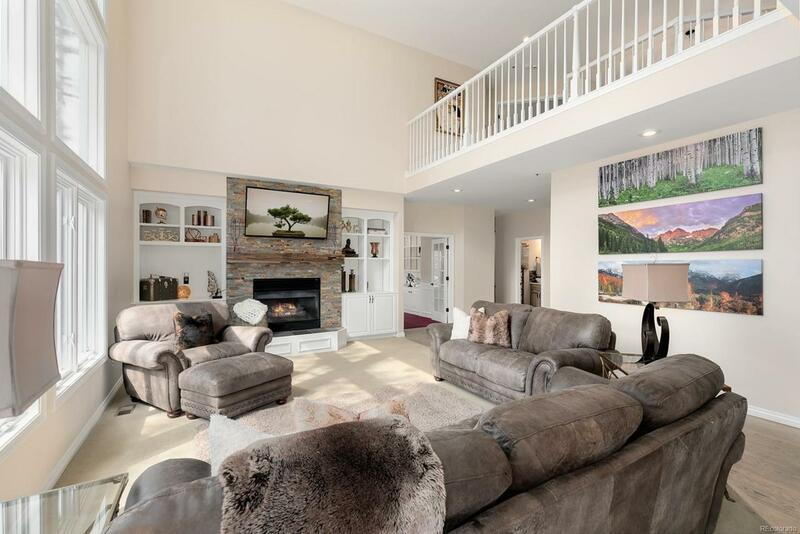 The warm and inviting family room is adorned with 2-Story cathedral ceiling and windows anchored by a stately gas fireplace. Find sanctuary in the master's quarters nestled on it's own private wing of the upper level featuring cozy gas fireplace and spa-inspired en-suite 5-piece bath. The finished basement includes a classic home theater, 2 wet bars, and separate guest quarters of a sizable bedroom and bath. Glorious mountain views and elk spotting from your private deck are the perfect way to end your Colorado day.